This church in Sangameshwar village was demolished on the directions of upper-caste Hindus (World Watch Monitor). Religious freedom advocate ADF India has noted a rise in incidents of religiously motivated violence in India’s two Telugu language-speaking southern states, Telangana and Andhra Pradesh, including the brutal murder of an elderly Christian woman. So far this year, ADF India says it has verified 17 incidents of anti-Christian persecution at the hands of Hindu extremist groups, all taking place within or close to Hyderabad, which is the Telangana state capital and also the de jure capital of Andhra Pradesh. Telangana state was formed after the bifurcation of Andhra Pradesh in 2014, the same year when Narendra Modi’s Hindu nationalist Bharatiya Janata Party (BJP) was voted to power. Since then, there has been a marked increase in anti-Christian sentiment across India, as World Watch Monitor has reported. “Although the state governments – both Telangana Rashtra Samiti in Telangana and Telugu Desam Party in Andhra Pradesh – do not openly support Hindu fundamentalism, most of their party workers at ground level belong to either RSS [Rashtriya Swayamsevak Sangh] or any of its affiliates,” an ADF India volunteer told World Watch Monitor on condition of anonymity. “The secular image they flaunt is only for vote-bank politics. In a recent case, on 24 July, a mob of at least 150 activists from RSS and fellow extremist group Bajrang Dal blocked the doorway of a Christian family’s house in the rural Hyderabad village of Lalgadi Malakpet, where a local pastor was visiting to pray for a sick member of the family. 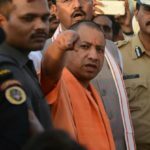 “The mob was shouting angrily and the believers’ family whom I was visiting did not allow me to go out,” the pastor, Avaru Santosh, told World Watch Monitor. “It continued for hours. They did not want to move from there without beating me, and it was late in the night. Eventually the police arrived and the pastor was able to go home. “But they [RSS and Bajrang Dal] issued a complaint against me in writing that I convert Hindus to Christianity by offering money, and demanded the police to register a case,” the pastor explained. 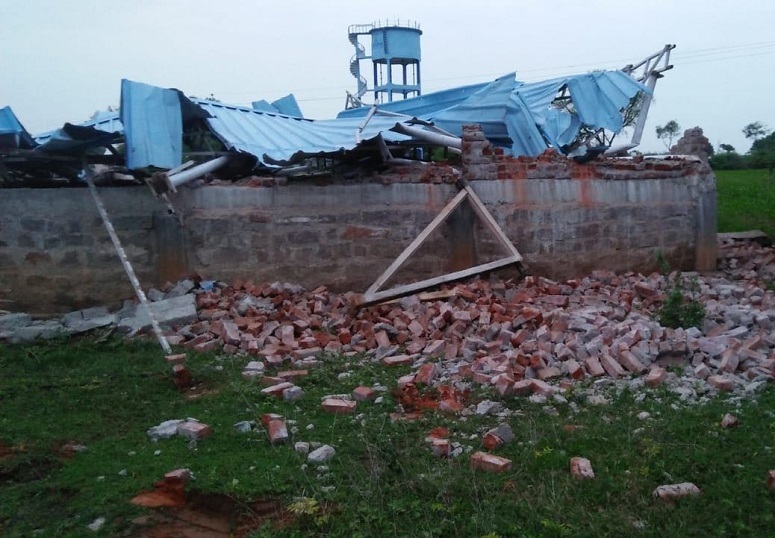 Ten days previously, on 14 July, upper-caste Hindus including the village president and local political leaders had sent a bulldozer to demolish a church in another village, around 90km north of Lalgadi Malakpet. “They have been after the church for more than three months now. Finally, they succeeded in uprooting the structures,” said Sapa Srinivas, pastor of the Good Fruit Ministries church in Sangameshwar village, Siddhipet District. A 1950 law listed Hindu Dalits as a "Scheduled Caste", which made them eligible for free education and set aside jobs in the government and seats in state legislatures to improve their status. The privileges were extended to Sikh Dalits in 1956, and to Buddhist Dalits in 1990. They are not available to Muslim and Christian Dalits. “They believe in Vastu shastra [the Hindu “science of architecture”]. According to their Vastu beliefs, Dalits [the lowest caste group in India] cannot reside to the west or south-west of the village as it is considered as inauspicious or evil in Hindu mythology,” Srinivas told World Watch Monitor. “Six years ago, we purchased the piece of land and registered it by the name Good Fruit Ministries and constructed a church. It falls on the south-west of Sangameshwar village. At least 100 believers attend the Sunday service. Earlier in the month, on 8 July, construction of a church in a village 30km southeast of Lalgadi Malakpet was forcefully brought to a halt by RSS and Bajrang Dal youths. “They issued death threats; we could not conduct a worship service also that Sunday,” Jimmigari Devadanam, pastor of Bethel Church in Bommalaramaram village, Yadadri Bhuvanagiri District, told World Watch Monitor. “We purchased the land to construct the church and for the past 20 years we worshipped under a shed. With the help of some kind-hearted donors, we could collect enough funds to begin the construction work. I took permission from the village president and raised the pillars. “Believers from surrounding tribal hamlets also attend the Sunday service and the shed was not enough. I secured permission for construction as well as to run the church from the officials, but it could not stop the Hindu extremists from attacking me. “Even the police officers could not assure us of any help. One officer raised his voice and reprimanded me that the youths have the right to question about church services. Instead of assuring us that our rights will be protected, he strengthened them. On the same day, 8 July, in the Chandanagar area of Hyderabad, two locally known BJP leaders disrupted the worship service at Christ Olive Prayer House. “They said that they are posted by the BJP to inspect the churches in this area, and asked me if we had permission to conduct church services,” the pastor, Tekulavari Jairaju, told World Watch Monitor. The day before, 7 July, an evening Bible study at a church on the other side of Hyderabad was brought to a halt after a drunk Hindu neighbour vandalised the church members’ cars parked outside. “There was enough space for the pedestrians and vehicles to pass-by but this neighbour was heavily drunk and not in his right state of mind,” Ananda Rao, pastor of the Rock Church in the Neredmet area of the city, told World Watch Monitor. When police arrived, instead of charging the drunk man, they instead arrested the pastor, charging him under sections 290, 296, 341 and 324 of the Indian Penal Code, which relate, respectively, to: committing public nuisance; causing disturbance to an assembly engaged in religious worship; wrongfully restraining any person; and voluntarily causing hurt with dangerous weapons. The pastor was released on bail the next day, but the case against him remains and, if found guilty, he faces up to three years’ imprisonment and a fine. The drunk man was not charged. Christians in the Neredmet area have recommenced services again, but only after police assured them of tight security every Sunday.